This giant wall poster is a large-scale aerial photograph, approximately 1:2,500 scale, centred on your school. 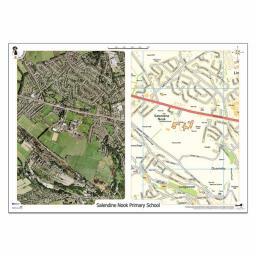 It comes with an Ordnance Survey map at the same scale and covering the same area as the photograph. 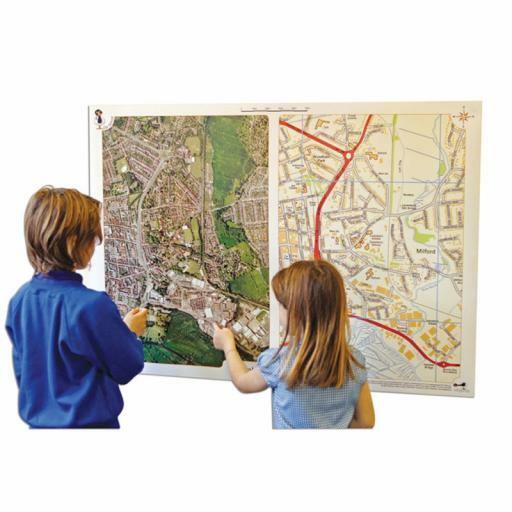 The poster is encapsulated in clear plastic for durability and will be a perfect record of your school and great for work on Road Safety. Ideal for the new 2014 curriculum.